The Galaxy Nexus on Verizon is still to this day one of the most popular phones among Droid Life readers. It was the first Nexus (maybe the last too) to launch on Big Red, providing this passionate community the only fully open phone on their network of choice in quite some time. But now that the phone has been around for almost a year, it seems to take a backseat at times to all of the new phones that hit the market. So to show the G-Nex that we still love it, we wanted to hand out a couple of tempered glass screen protectors for it. The Fantom, made by XGEAR, is practically scratch resistant, keeps off fingerprints, and is thin enough to not add extra bulk to your device. At 8H hardness, you won’t find this kind of protection from any other screen protector. Then normally retail for $29.99. Update: Our three winners have been picked! David, ImmaDroid, and Sean, be sure to check your email! 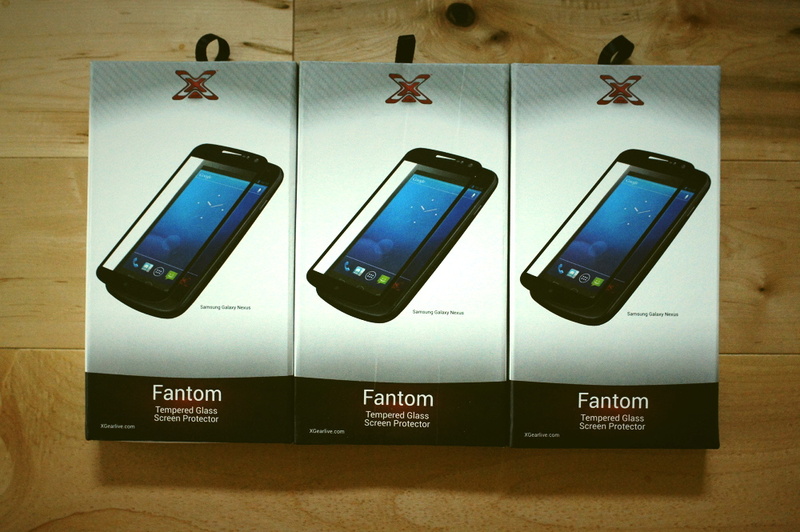 Prize: 3 (three) Fantom tempered glass screen protectors for the Galaxy Nexus. 1. In the comments, tell us why you still love your Galaxy Nexus. Today, at 3PM Pacific, we’ll randomly choose three winners from the comments.